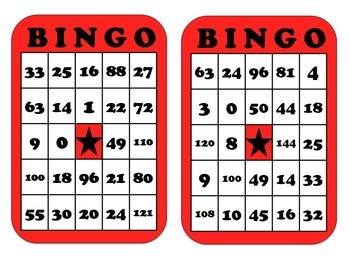 Multiplication Bingo is a fun way to practice whole group, or in a math center to reinforce multiplication skills. 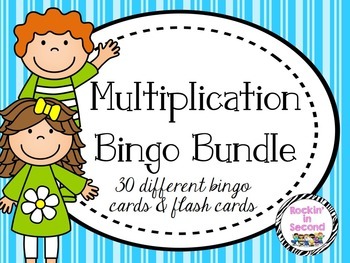 30 different multiplication bingo cards in 15 different colors. No two cards are alike. 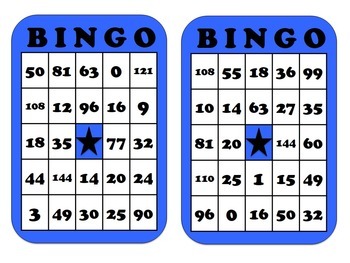 Calling cards for all times tables 0-12. Calling cards can double as flash cards. Print each set, cut and place on a book ring. Students can practice on their own. 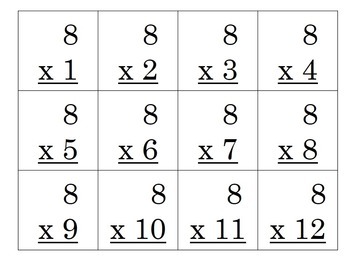 Multiplication Chart for recording multiplication tables already called.